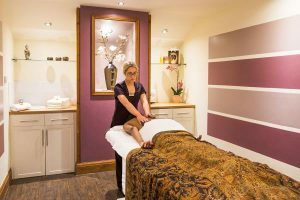 Are you searching for spa near to your home in Sugar Land or Houston TX which offers maximum healthcare facilities like massage, facial and foot scrub? Pure Massage Bliss is a leading spa in the major cities of Texas with expertise to offer full body massage as well. We have been serving with the aim of relieving of valued customers an over stressed life. in terms of massage, we offer Swedish massage, deep tissue massage, sports massage and pregnancy massage. Pure Massage Bliss is functioning more than just a spa in Sugar Land, as the different massages are used to relief clients from physical and mental stress. The Swedish massage is takes into account the complete body in very soothing experience of massage. Being a Swedish technique, it is becoming more common in United States because of its countless benefits. In the same way, the sports massage is for the treatment of athletes whereas the pregnancy massage is especially designed for expected mothers in relieving their pains they have to face throughout the pregnancy. At our spa in Houston TX offers comforting therapies like, hot stone massage alone or in addition to Swedish massage, cold stone face treatment and foot scrub. Pure Massage Bliss is committed to offer you exemplary health and beauty care services throughout Sugar Land and Houston TX. Judy Tang, who is the owner of this company, is herself an athlete that’s why to she is more concerned in relieving you in both emotional and physical aspects. we have gathered beneficial techniques around the world to offer our customers the most effective massage. You may observe a clear change in your physique, especially after the Swedish full body massage. In the add-one section, we have some very attractive services that may be ordered in isolation and in comparison to other services as well. The hot stone therapy is used to relax you deeply. The muscle are heated and relieved in a very traditional manner. Our spa in Houston TX takes you to an extremely different facial experience like cold stone therapy. This helps in revitalizing your complexion. The foot scrub massage is also a prominent service we offer at the spa in Sugar Land. It includes warming your foot, applying a balm which is followed by a gentle massage. It leaves your feet fresh and unstressed for long. We have been offering our tireless services for the past many years at affordable prices. We never charge excessive rates, as we are more concerned with your health and beauty care at the spa in Houston TX than billing our services. You may review our pricing and membership details at the same website.